Dr. Tsuyoshi Fujita is a head of Environmental Technology Evaluation System Research Team of National Institute for Environmental Studies, Japan. He is also a professor of the Graduate School of Engineering, Toyo University. His research fields are eco industrial development, low carbon city, urban environment simulation system, circular economy planning and spatial LCA, where he has published around seventy journal papers. He is engaged in several national research projects to develop integrative urban technology and policy simulation system for Japanese and Asian cities and regions. Coordination of physical environmental models with decision support assessment system such as LCA and environmental economic evaluation is the focus of present research activities. He is a chair of Eco town and circular region research committee by the Ministry of Environment, a member of the Sub-committee of Environmental Model Cities by the National Prime Minister Cabinet Office, Chair of LCA Methodology Working and Member of environmentally friendly construction system promotion committee by the Ministry of Land, Infrastructure and Transportation and Chair of Editorial Board, Journal of Environmental Systems Research, Japan Society of Civil Engineering. He is also actively engaged in several research projects for the planning of Chinese cities and regions to realize sustainable circular economy. He was granted a doctor of engineering from the University of Tokyo as well as receiving a MCP (Master of City Planning) degree from the University of Pennsylvania. He was formerly an Associate Professor in Osaka University after working in the construction company as an urban planner for a ten years. Professor Tsuyoshi Fujita is the Director of the Center for Social and Environmental Systems Research, National Institute for Environmental Studies (NIES), Japan. He also serves as Specially Appointed Professor at the Tokyo Institute of Technology in the field of applied energy, and Alliance Professor at Nagoya University in the field of environmental science. His research fields include eco-industrial development, low carbon cities, urban environment simulation systems, circular economy planning, and spatial life cycle assessment, and he has published more than 70 journal papers related to these fields to date. He is engaged in several national research projects to develop integrative urban technologies and policy simulation systems for Japanese and Asian cities and regions. 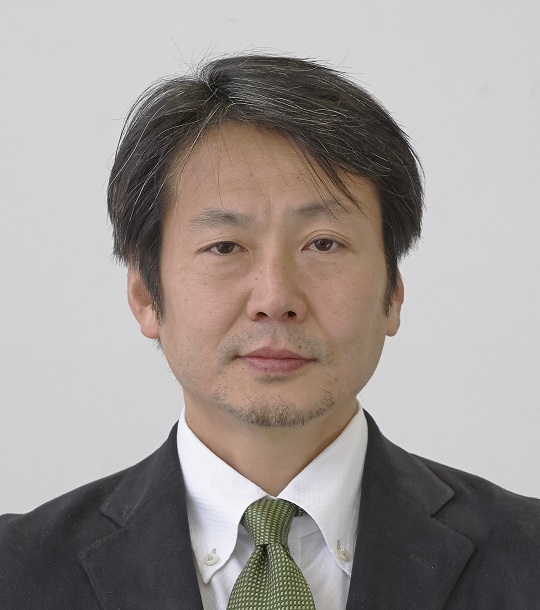 Professor Fujita is a member of Council for promotion of FutureCity Initiative of Cabinet Office of Japan, and he also holds a number of other academic positions including Counselor of the International Society for Industrial Ecology and Chair of the Committee on Environmental Systems, Japan Society of Civil Engineers. He received the MCP (Master of City Planning) degree from the University of Pennsylvania in 1991 and the doctor of engineering degree from the University of Tokyo in 1997. Presenter : Dong H., Liu Z., Geng Y., Fujita T., Fujii M., Sun L., Zhang L.
Presenter : Ohnishi S., Dong H., Geng Y., Fujii M., Fujita T.
Presenter : Kim H., Dong L., Choi A.E.S., Fujii M., Fujita T., Park H.
Presenter : Dong H., Fujita T., Geng Y., Dong L., Ohnishi S., SUN L., Dou Y., Fujii M.
Presenter : Onishi R., Fujii M., Fujita T., Matsumoto T., Dong L., Akiyama H., Dong H.
Presenter : Fujii M., Fujita T., Dong L., Lu C., Geng Y., Behera S.K., Park H.S., Chiu A.S.F. Presenter : Geng Y., Fujita T., Park H.S., Chiu A.S.F., Huisingh D.
Presenter : Sun L., Dong H., Geng Y., Li Z.L., Liu Z., Fujita T., Ohnishi S., Fujii M.
Presenter : Liu Z,, Geng Y, Ulgiati S,, Park H.S., Fujita T., Wang H.
Presenter : Liang N., Fujita T., Dai M., Geng Y., Ren J., Fujii M., Wang Y., Onishi R.
Presenter : Yu X., Geng Y., Dong H., Fujita T., Liu Z.
Presenter : Ren W., Xue B., Geng Y., Lu C., Zhang Y., Zhang L., Fujita T., Hao H.
Presenter : Dong L., Dong H., Fujita T., Geng Yong, Fujii M.
Presenter : Xu Tian, Yong Genf, Dong H., Dong L., Fujita T., Yutao Wang, Hongyan Zhao, Rui Wu, Zhe Liu, SUN L.
Presenter : Wu R., Geng Y., Dong H., Fujita T., Tian X.
Presenter : Liu Z., Geng Y., Park H.S., Dong H., Dong L., Fujita T.
Presenter : Zhang L., Geng Y., Dong H., Zhong Y., Fujita T., Xue B., Park H.S. Presenter : Zhu Q., Qu Y., Geng Y., Fujita T.
Presenter : Ren W., Geng Y., Ma Z., Sun L., Xue B., Fujita T.
Presenter : Xue B., Ma Z., Geng Y., Heck P., Ren W., Tobias M., Maas A., Jiang P., Fujita T.
Presenter : Dong H., Ohnishi S. , Fujita T., Geng Y., Fujii M., Dong L.
Presenter : Fujii M., Fujita T., Ohnishi S., Yamaguchi N., Geng Y., Park H.
Presenter : Huijuan Dong, Yong Geng, Fengming Xi, Fujita T.
Presenter : Ma Z., Xue B., Geng Y., Ren W., Fujita T., Zhang Z., Oliverira J. P., Jacques D.A., Xi F.
Presenter : Chin X., Fujita T., Hayashi Y., Kato H., Geng Y.
Presenter : Zhang Hui, Dong L., Li Huiquan, Chen Bo, Tang Qing, Fujita T.
Presenter : Kaneda M., Fujita T., Fujii M., Ohnishi S.
Presenter : Dong L., Zhang Hui, Fujita T., Ohnishi S. , Li Huiquan, Fujii M., Dong H.
Presenter : Liu Z., Liang s., Geng Y., Xue B., Xi F., Pan Y., Zhang T., Fujita T.
Presenter : Chen X., Fujita T., Onishi S., Fujii M., Geng Y.
Presenter : Fujii M., Fujita T., Chin K., Ohnishi S. , Yamaguchi N.
Presenter : Ohnishi Satoshi, Fujita T., Fujii M., Chen X.
Presenter : Ren W., Geng Y., Xue B., Fujita T., Ma Z., Jiang P.
Presenter : Liu Z., Geng Y., Lindner S., Zhao H., Fujita T., Guan D.
Presenter : Geng Y., Liu K., Xue B., Fujita T.
Presenter : Xi F., Geng Y., Chen X., Zhang Y., Wang X., Xue B., Dong H., Liu Z., Ren W., Fujita T., Zhu Q.
Presenter : Chin K., Fengming Xi, Yong Geng, Fujita T.
Presenter : Chen X. , Yong Geng, Fujita T.
Presenter : Zhu Qinghua, Geng Yong, Fujita T., Hashimoto S.
Presenter : Hashimoto S., Fujita T., Yong Geng., Nagasawa E.
Presenter : Yong G., Fujita T., Chin K.
Presenter : Nakayama T., Fujita T.
Presenter : Chin K., Haight.E.M, Yong Geng, Fujita T.
Presenter : Rene Van Berkel, Fujita T., Hashimoto S., Geng Y.
Presenter : Rene Van Berkel, Fujita T., Hashimoto S., Fujii M.
Presenter : Geng Y., Bruce Mitchell, Fujita T., Nakayama T.
Presenter : Geng Y., Pang Zhang, Raymond P. Cote, Fujita T.
Presenter : Looi-Fang Wong, Fujita T., Naoko Yanagi, Tsuchida E.
Presenter : Geng Y., Cote R., Fujita T.
Presenter : Fujita T., Fujita T.
Presenter : Dou Y., Tanikawa H., Fujii M., Okuoka K., Fujita T.
Presenter : Sun L., Fujii M., Dong H., Tasaki T., Fujita T.
Presenter : Dou Y., Fujii M., Ohnishi S., Fujita T., Tanikawa H.
Presenter : Dou Y., Fujii M., Okuoka K., Tanikawa H., Fujita T., Maki S.
Presenter : Fujita T., Takemoto K., Kanie N.
Presenter : Sun L., Fujii M., Tasaki T., Fujita T.
Presenter : Dou Y., Tanikawa H., Fujita T., Fujii M., Okuoka K.
Presenter : Dou Y., Fujii M., Okuoka K., Tanikawa H., Fujita T.
Presenter : DONG H., LIU Z., GENG Y., Fujita T., Fujii M., Sun L.
Presenter : Kim H.W., Ohnishi S., Fujii M., Fujita T., Park H.S. Presenter : Dong H., Yong Geng, Fujita T.
Presenter : Ohnishi S., Dong H., Fujita T., Dong L., Fujii M.
Presenter : Dong L., Fujita T., Fujii M., Ohnishi S.
Presenter : Dong H., Geng Y., Fujita T., Fujii M., Dong L., Ohnishi S.
Presenter : Dong H., Fujita T., Geng Y.
Presenter : Dong L., Fujita T., Dai M.
Name of Proceedings : Urban energy management is important to China’s sustainable development and in this beginning of national twelfth-five planning period (from 2011 to 2015), China has implemented energy conservation planning in a number of cities, in the purpose of reducing energy consumption per unit of GDP for a certain cap to meet its GHGs emissions reduction target. The planning is made based on a top-down approach, which allocate the reduction target from the national wide to the sector, then to industry and finally to the company, usually neglecting the real condition and the interconnection among different industries, as well as the linkage of reduction target and local economy. This paper studied on how Materials Flow Analysis and Input-Output model could be applied into Chinese urban energy planning and CO2 reduction policy, and an emperical study was taken in Liuzhou city, a heavy industries center in Guangxi province, China. Based on the urban-level energy flow analysis, city energy balance table and 2007 provincial monetary input-output table, complemented by survey on key industries, we proposed a hybrid energy input-output model in 2009 fit to local industrial characteristics, with 24 economic sectors, 10 categories of energy resources and one category of waste and emissions, which was CO2 emissions. Then the established model was used to identify the key sectors from both direct and indirect perspectives, eight industries were identified as key sectors need to implement the energy conservation planning in priority, including Iron and steel industry, cement and construction materials industry, chemical industry, power generation industry, sugar industry, pulp and paper industry, non-ferros metal industry, machinery manufacturing industry, and automation manufacturing industry. Furthermore, with year 2009 as BAU level, scenario analysis based on year 2015 urban energy planning target was made through the model, simulation results showed that under the target of urban-level energy intensity reduced by 20%, and GDP increased doubled by 2015, the eight main industries would reduce their energy intensity by 20%, 20%, 15%, 25%, 25%, 25%, 30% and 30%, respectively. Totalurban energy demand would amount to 29.5 million tons coal equivalent. Meanwhile, how the optimization of energy mix of the key industries and industrial structure adjustment would further affect the CO2 emissions reduction was discussed with the model. Finally, to realize the urban target, an inventory of key low-carbon technologies and fiscal policy were proposed, and policy implications of results and future work were discussed. Presenter : Ohnishi S. , Fujita T., Fujii M.
Presenter : Fujii M., Fujita T., Ohnishi S. , Dong L.
Presenter : Sun Y., Fujita T., MORI A., ZHU Q.H. Presenter : Fujii M., Fujita T., Chin K., Ohnishi S.
Presenter : Chin K., Fujita T., Fujii M.
Presenter : Fujita T., Chen X., Fujii M., Onishi R., Govindan K., Geng Y.
Presenter : Fujii M., Fujita T., Chin K.
Presenter : Nakayama T., Fujita T., Hashimoto S.
Presenter : Nakayama T., Sun Y., Don N.C., Fujita T., Geng Y.
Presenter : Chin K., Fujita T.
Presenter : Fujii M., Fujita T., Chin K. , Ohnishi S. , Yamaguchi N.
Presenter : Fujita T., Fujii M., Chin K., Geng Yong, Ohnishi S.
Presenter : Chin K., Fujita T., Yong Geng, HASHIMOTO S.
Presenter : FUJII M., Fujita T., HASHIMOTO S.
Presenter : Sun Y., Fujita T., Hashimoto S.
Presenter : Chin K., Fujita T., Geng Y.
Presenter : Nakayama T., Fujita T., Hashimoto S., Hamano H.
Presenter : Rene Van Berkel, Fujita T.
Presenter : Nakayama T., Fujita T., Geng Y., Hashimoto S.
Presenter : Looi-Fang, Wong, Fujita T.
Presenter : Murano Akito, Fujita T.